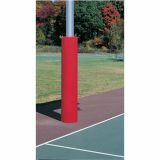 Construction Paper 9" x 12"
Backstop Padding, 3' x 10' x 2"
Backstop padding is 2" thick high impact foam and has grommet flaps on all 4 sides for attachment to chain link fencing. Specify color when ordering. 3' x 10'. Graphics and lettering available separately, call Jaypro for details. 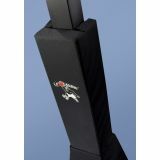 Backstop Padding, 3' x 12' x 2"
Backstop padding is 2" thick high impact foam and has grommet flaps on all 4 sides for attachment to chain link fencing. Specify color when ordering. 3' x 12'. Graphics and lettering available separately, call Jaypro for details. Backstop Padding, 3' x 6' x 2"
Backstop padding is 2" thick high impact foam and has grommet flaps on all 4 sides for attachment to chain link fencing. Specify color when ordering. 3' x 6'. Graphics and lettering available separately, call Jaypro for details. Backstop Padding, 3' x 8' x 2"
Backstop padding is 2" thick high impact foam and has grommet flaps on all 4 sides for attachment to chain link fencing. Specify color when ordering. 3' x 8'. Graphics and lettering available separately, call Jaypro for details. 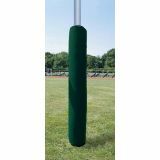 Backstop Padding, 4' x 10' x 2"
Backstop padding is 2" thick high impact foam and has grommet flaps on all 4 sides for attachment to chain link fencing. Specify color when ordering. 4' x 10'. Graphics and lettering available separately, call Jaypro for details. Backstop Padding, 4' x 12' x 2"
Backstop padding is 2" thick high impact foam and has grommet flaps on all 4 sides for attachment to chain link fencing. Specify color when ordering. 4' x 12'. Graphics and lettering available separately, call Jaypro for details. Backstop Padding, 4' x 6' x 2"
Backstop padding is 2" thick high impact foam and has grommet flaps on all 4 sides for attachment to chain link fencing. Specify color when ordering. 4' x 6'. Graphics and lettering available separately, call Jaypro for details. 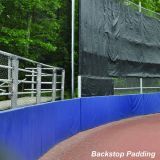 Backstop Padding, 4' x 8' x 2"
Backstop padding is 2" thick high impact foam and has grommet flaps on all 4 sides for attachment to chain link fencing. Specify color when ordering. 4' x 8'. Graphics and lettering available separately, call Jaypro for details. 30" wide pad is designed to wrap around a 4-1/2" O.D. post. Foam filler is 4" thick high density polyurethane and 14oz vinyl cover has grommet flaps for rear lacing. Cord included. Pad is 6' high. Specify color when ordering. Professional style pads for 4-1/2" O.D. post. Foam filler is 6" thick cylindrical high density polyurethane foam with rear cut-out for easy attachment. 14 oz. nylon reinforced vinyl cover completely encloses the foam filler. Vinyl cover has full length hook-and-loop closure flap. Pad is 6' high. Specify color when ordering. Professional style pads for 5-9/16" O.D. post. Foam filler is 6" thick cylindrical high density polyurethane foam with rear cut-out for easy attachment. 14 oz. nylon reinforced vinyl cover completely encloses the foam filler. Vinyl cover has full length hook-and-loop closure flap. Pad is 6' high. Specify color when ordering. Basketball deluxe pole padding has 2-piece construction for easy & quick installation. 4" thick front pad for protection. Covers baseplate. Reinforced base strip.